The cost of replacing key talent, particularly those in C-suite roles, is assumed to be the equivalent of between six months and two years annual remuneration. This is without mentioning the negative impact on business performance that results from a lack of formalised succession planning. 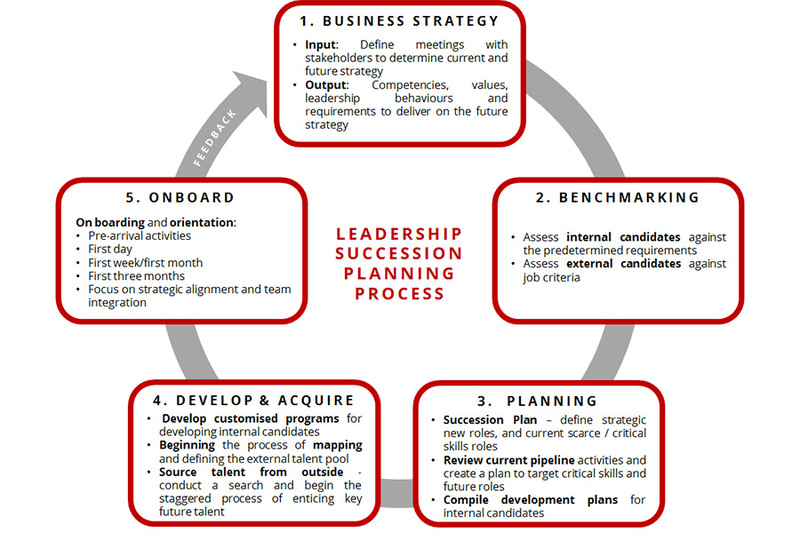 Given that it takes most organisations an average of two years to identify, on-board, appoint, and acclimatise a suitable successor, businesses need to consciously invest in developing CEO and Executive succession plans to ensure business continuity, effective transfer of knowledge, and retention of institutional memory. Transformation, whether organisational, diversity driven, or to meet changing client demands, requires effective leadership. The most effective leaders are those who have been identified and groomed to take up these roles from within the organisation. We assist our clients with systematic talent analysis, risk assessment, and compilation of effective capacity building plans in order to address their CEO and Executive succession planning needs. A distinct advantage in working with Mindcor is the ability for our group of companies to give organisations the best of both worlds. Using our Integrated Talent Pipelining Model we are able to benchmark internal talent potential against the best available in the market, ensuring the organisation identifies, acquires, develops, and retains the very best individuals needed to take the business forward.